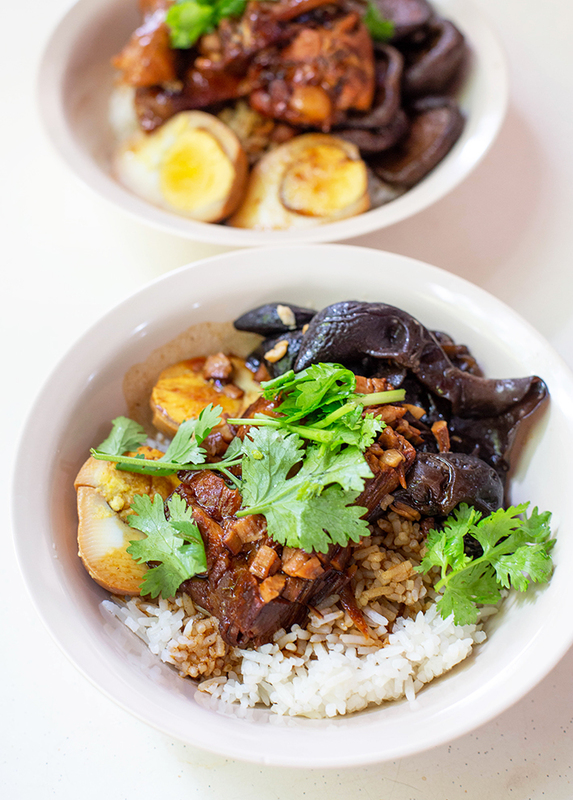 Lor Bak (braised pork) is a dish that reminds many of us of our mums’ cooking. William Liou took inspiration from his mother’s recipe to set up Mr Lorbak. This man is a fourth-generation hawkerpreneur who gave up his white-collar profession and started out by selling lu rou fan (braised pork rice) as his only dish. His menu has since expanded to include other braised dishes and he even has another branch in Kovan now. Our Braised Pork Rice (S$3.50) came with a chunk of lor bak that was cut into bite-sized pieces, before being dressed in gravy. 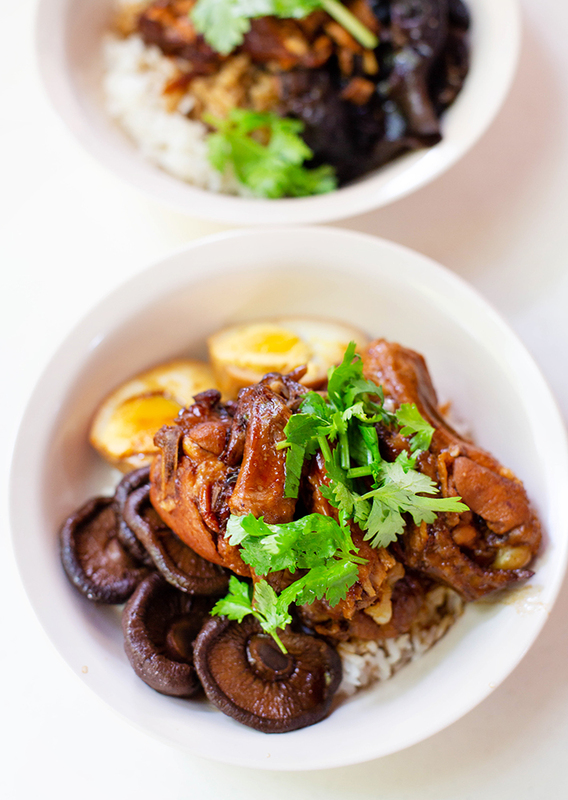 Black fungus and two halves of a braised egg completed the bowl, with parsley for garnishing. Each piece of lor bak was fatty and tasted unexpectedly salty with a strong herbal aroma and Shaoxing wine infused into it. The fat melted away like butter, leaving tender meat to chew into. While we initially thought the egg could have been more deeply marinated with braising sauce, we later found that the meal savoury enough. The black fungus was crunchy and was as a refreshing contrast to the rest of the ingredients. 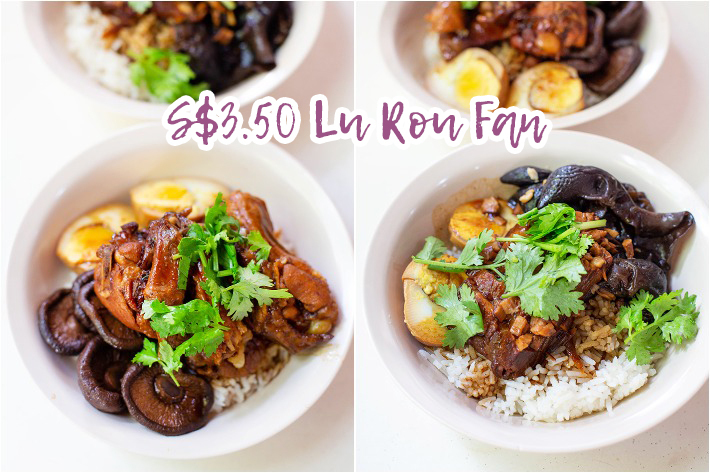 We also got a large order of Braised Chicken Wing Rice (S$3/S$4.50) which came with two wings and braised shrooms. It was less appealing than the braised pork which we much preferred for its umami-packed fats. Regardless, dabbing the meat into chilli sauce made it delightful. Mr Lorbak’s house-made sauce was inspired by Thai chilli and has lime juice added to it. The chilli had a sharp spiciness and had a hint of zest that easily cut through the strong savoury flavours of the meal.